1. 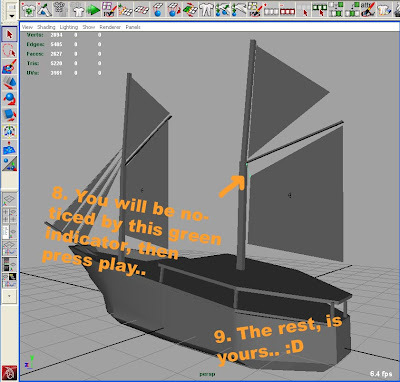 Like others, we have to model the object first.. I did it just simple type of modeling..
2. Now, You need to apply the ncloth on the object..
3. 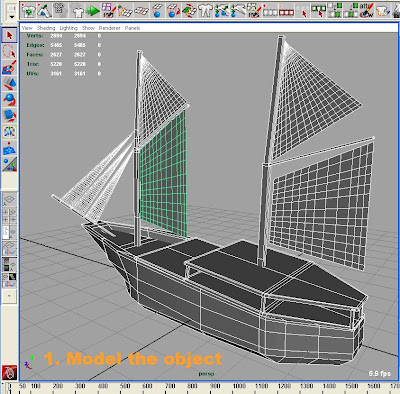 You also need to apply the ncloth on the ship, so in the end it will create collision between first object and the second one. 4. 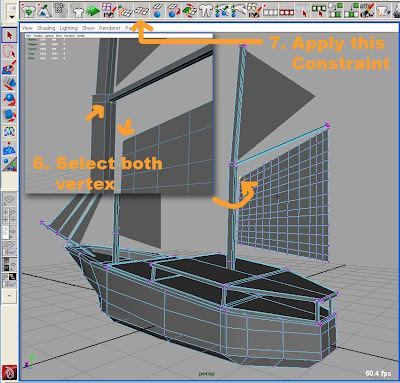 This constraint looks different than the first tutorial, bcoz if the ship is moving, the object should follow it.. thats why we need this type of constraint..
5. After that you can press play to start the simulation..
6. 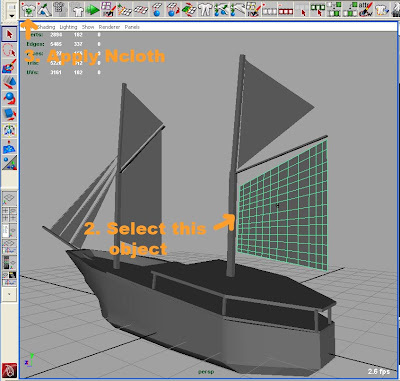 So you need to apply the ncloth also for other objects..
7. 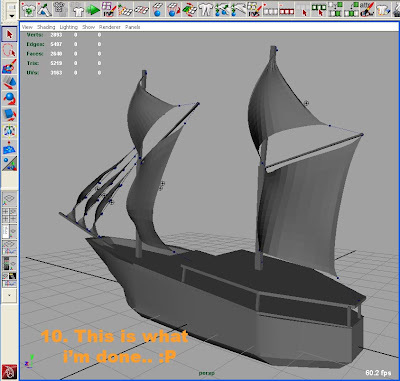 This example can be improved.. such as the animation of the ship.. cihui, we learn again.. alright guys, dont forget for your feedback..